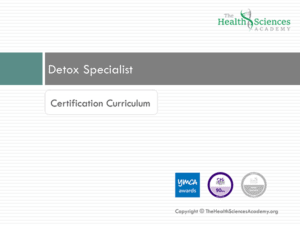 The science-based certification teaching you everything you need to know about the fields of toxicology and detoxification, so you can help your clients in a safe and personalised way. 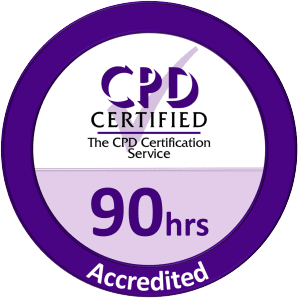 Certification accredited for 90 CPD hours. 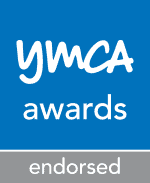 Endorsed by YMCA Awards. I enjoyed everything, one of the benefits is you work from home in your own time so it's very flexible. The downloadable print outs were very helpful as well. Enhancing my knowledge by getting the science behind my own understanding and use. Why detox? What qualifies as a toxin? What's the best detox diet for my client? 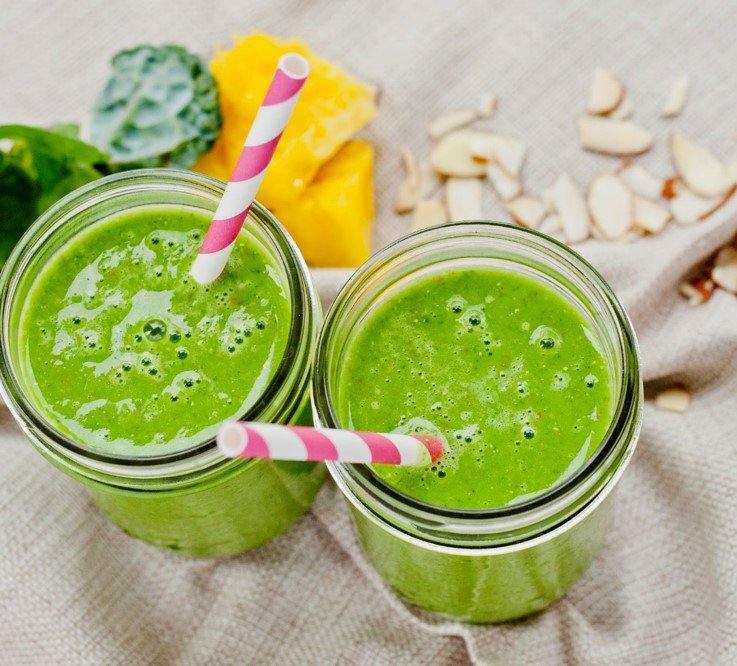 Green Smoothie Recipes - plus the science behind them! 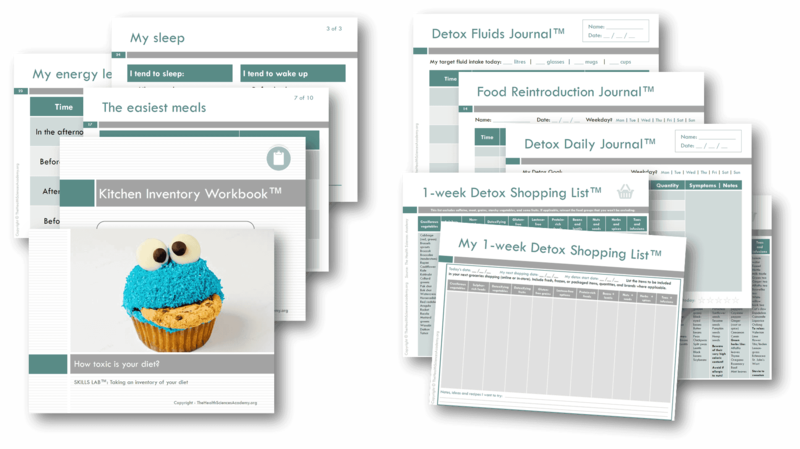 Learn to build personalised detox plans. Skills Lab™ : Instantly apply your knowledge! Practise the techniques taught in your certification before seeing real clients through guided field tasks, practical assignments, questionnaires, idea banks creation, and games. Learn how your classmates are doing and stay motivated! Templates for immediate use with clients. 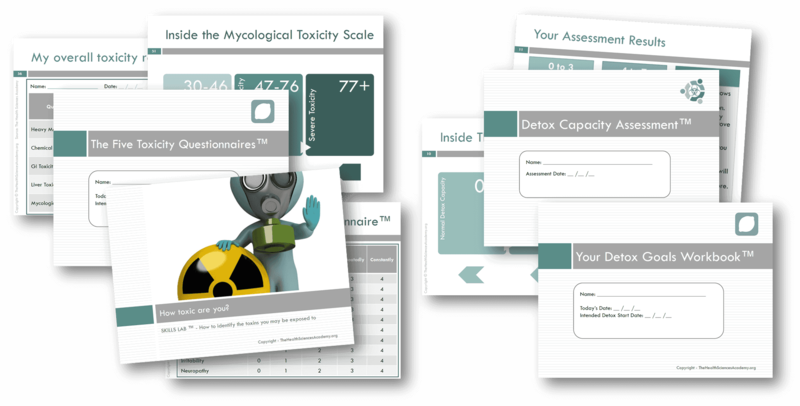 Assessment tools to personalise programmes. Planning kits to use in your practice. Methods you won't find anywhere else! Upon graduation you'll have instant access to your very own Certificate in PDF format, issued in your name, signed and dated. You can save it, print it or share it with someone else. Course was set at the right level, covering science based materials with practical examples. 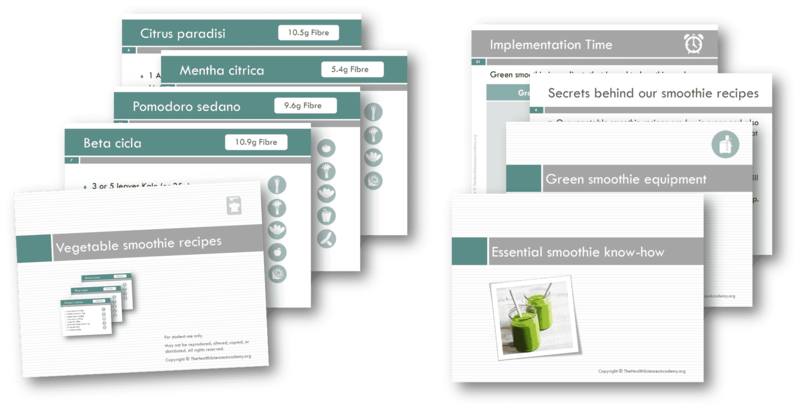 Templates were easy to follow, and provided the ability to explain nutritional strategies to any potential clients, in line with their chosen goals. Thoroughly enjoyed the course, and found it very valuable. Looking forward to putting it into practice! Thanks! I had a basic knowledge through years of experience, this course gave me the the full picture and gave me the correct terminology to explain to others. I think you have it spot on in all aspects. And none of it expires! This is the first course I have done online and if they are all this easy to use and be guided through I will definitely be interested in doing another one! Q.What are the entry requirements for this course? A.No pre-requisite of any science background is required. High school level science can be helpful. No prior experience and/or educational paperwork are required. Q.How many REPs CPD points will I earn? A.Once you have successfully completed your training and purchased the optional SkillsActive Professional Add-on Module, you will receive 6 REPs CPD points. In order to redeem your REPs CPD points, please record them in your online REPs portal. Please note that this applies to Level 3 Qualified REPs members only who have joined by 1 December 2016. Q.Do you send me any materials in the post? A.The entire course is online. You can download and print all of your materials, including your client worksheets and planning tools. Don’t worry if you don’t have a printer, in addition to your online access, we can courier your course pack once you’ve registered your course for an additional fee. Upon registration, you’ll be given this option so you can instantly order your course pack. Q.Is there a deadline to complete my course? A.No, there are no fixed deadlines. Our programme allows you to be 100% in control of your own time. In other words, you are in charge of your own study agenda. This puts you in the driving seat and increases the enjoyment of your learning experience. What’s more, you have lifetime access to your course, which means that it is yours forever to keep, including all future updates and new content! Q.How long does it take to complete the course? A.You can do it as quickly or slowly as you wish. Our program allows you to be 100% in control of your own time. In other words, you are in charge of your own study agenda. This puts you in the driving seat and increases the enjoyment of your learning experience. Q.Do I need any special software to complete my course? A.No special operating system is required. You need a computer and internet access. Upon registration, we help you navigate the online system and also provide access to our 24/7 Interactive Learner Services portal. Q.Do I have to submit written assignments? A.No. Instead, you are presented with learning checks built into each module, guided Skills Lab™ tasks, worksheets, student games and polls, practical self-assignments and online tests. This way you won’t feel stuck over the composition and marking of written tasks. What’s more, your study time is reduced so you can concentrate on what really matters: Applying your newly acquired knowledge to real life situations! Q.What assessments are in there? A.At the end of each module, there is a multiple choice quiz based on the readings and lesson materials. The purpose of the quizzes is to enhance your retention of the material. You are permitted to refer to the module lessons and other notes during the quizzes. There is no time limit and you have an unlimited number of attempts to take the quiz. You will see feedback on your correct and incorrect answers after you pass. At the end of the course, there is a final theory exam (online), covering what you have learned in all modules. Upon successful completion of your final exam with a final score of 80% or above, you will receive your certificate. Q.If I fail the final exam, do you charge any fees to retake it? A.No, there are no additional fees to retake your final theory exam. In fact, you will be able to retake it instantly (online), without any further administrative steps. You are permitted to refer to the module lessons and other notes during your final exam. There is no time limit and you have an unlimited number of attempts to take it. Q.Can this certification help with my career? A.Absolutely! 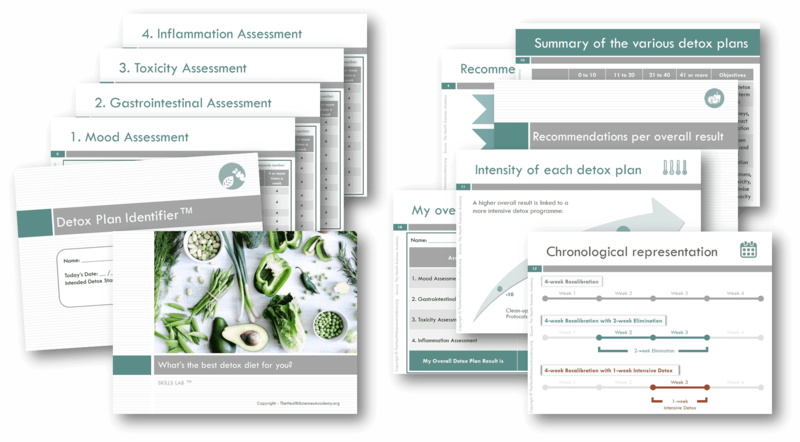 The course is packed with Downloadable Client Materials and Session Handouts that will help you establish or expand your nutritional practice. Your final module covers the key professional, legal, tax, and insurance considerations in order to set up your practice. In there, we also provide you with downloadable legal templates for you to print and use as soon as you start seeing clients. We also offer an optional, premium Clinic Toolkit™ packed with intelligent forms to help start or enhance your practice. Q.Do I need to finish the course within 12 months? A.No, there are no fixed deadlines and you can take as long as you need to complete it. You can finish it in a few weeks or in a couple of years, at your own pace. Plus, you have lifetime access to your course systems and materials, both before and after graduation, including all future updates and new research. This way, you’re supported with content that is current and fresh throughout your entire practice. If you have a gift voucher, we suggest you redeem it as soon as possible – and then start your course lessons whenever you are ready later on. Q.How many hours per week do you recommend I study for? A.It depends on how quickly you would like to complete your certification. You can study for as many hours per week as your work and social life allows. The guided learning hours to complete this training are 90 hours. Some of our students finish in six months, and those with work commitments may take a year or longer. There’s no expiry date to complete the training. Q.Is this accredited or recognised by an awarding body? A.Yes. 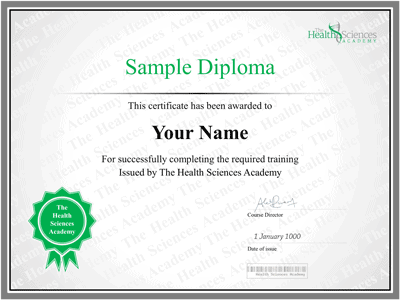 It has been accredited by CPD (the official certification service for Continuing Professional Development, which carries both UK and International recognition), endorsed by YMCA Awards (previously Central YMCA Qualifications/CYQ), the UK’s leading and longest-established awarding body for health, fitness and wellness qualifications, and approved by IICT (the International Institute for Complementary Therapists) for professional membership and insurance. Q.Are there any hidden charges? A.Everything we’ve detailed above these Frequently Asked Questions is included in your price! You’ll have the choice to select optional add-ons (entirely up to you if you want them or not), such as a printed course pack by post or professional add-on registration modules for CPD and YMCA Awards. Not all of our graduates seek to evidence a professional recognition, so we’ve made it optional and those who don’t need it won’t have to pay extra. We also offer an optional, premium Clinic Toolkit™ packed with intelligent forms to help start or enhance your practice. Contact us if you require further information.